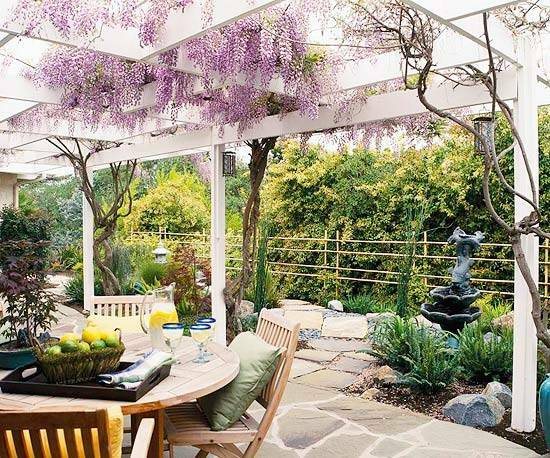 Garden design with a pergola or gazebo is more functional, beautiful and comfortable. 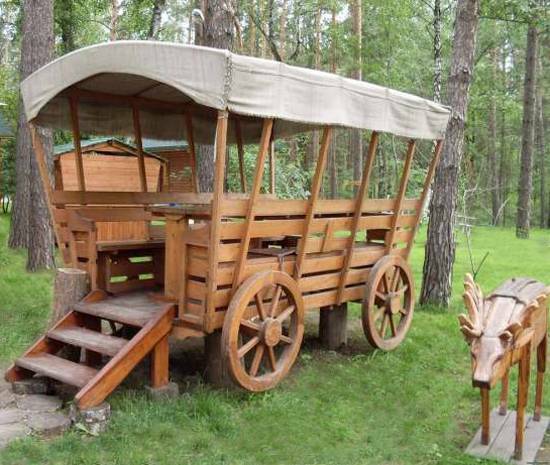 Creative and attractive pergolas and gazebos have many advantages. 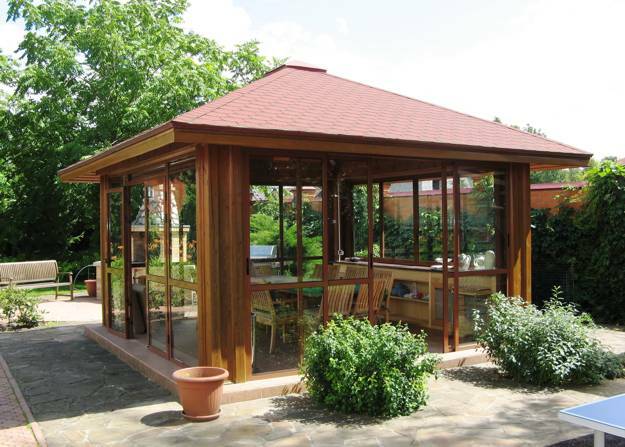 Traditional pergolas, gazebos and contemporary sun shelters come in numerous design styles, materials and sizes. 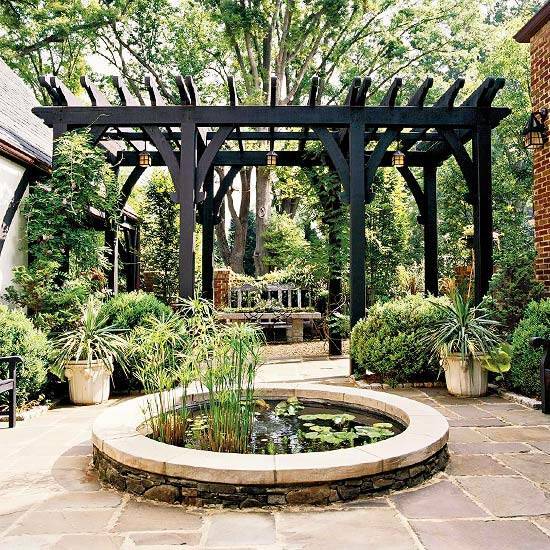 These functional backyard designs add striking accents to yard landscaping and beautify gardens. 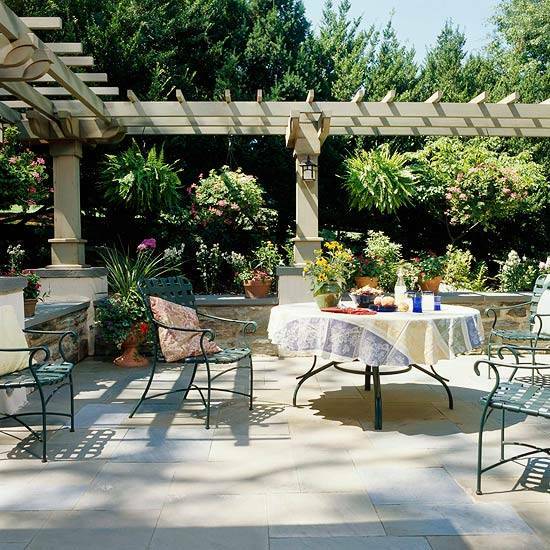 Sun shelters, pergolas, gazebos, awnings, canopies and other light sun shades bring refreshing coolness and comfort into backyard designs. 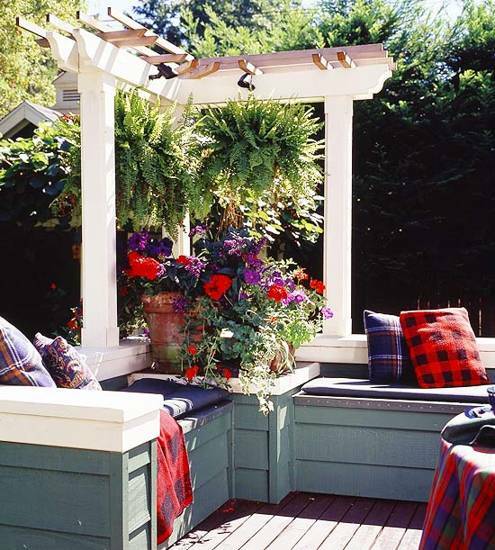 These functional elements can be used as yard decorations also, adding interest, color and texture to yard landscaping. 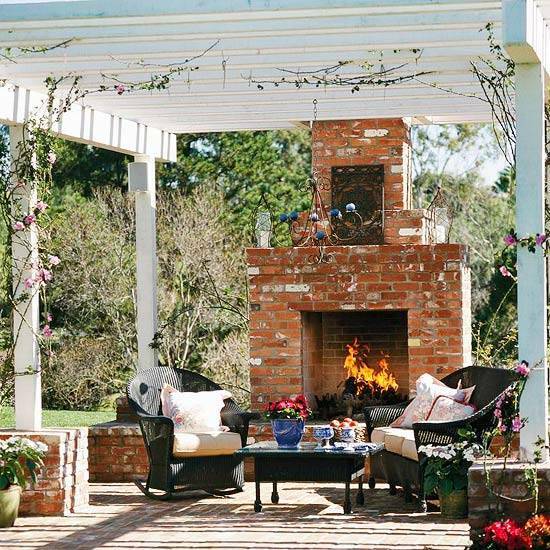 Pergola and gazebo designs are particularly effective and attractive with inviting patios, garden paths,open decks and terraces. 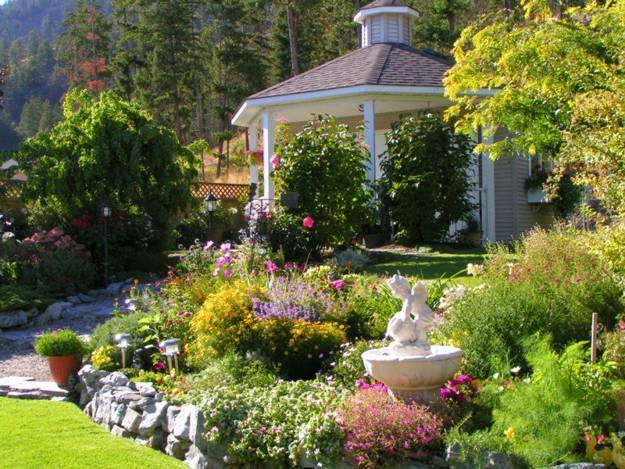 Lushome shares beautiful garden design ideas with these great structures that give character to yard landscaping and create inviting and relaxing backyard designs. 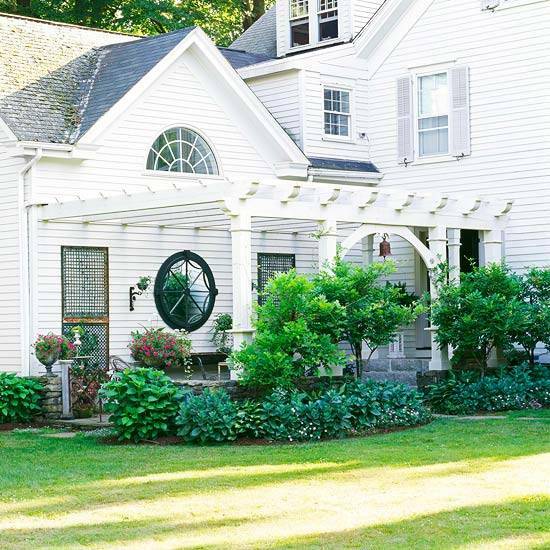 Sun shelters, pergolas, gazebos, awnings, canopies and other light sun shades add fabulous decorative accents to outdoor living spaces and set fresh and inviting atmosphere. 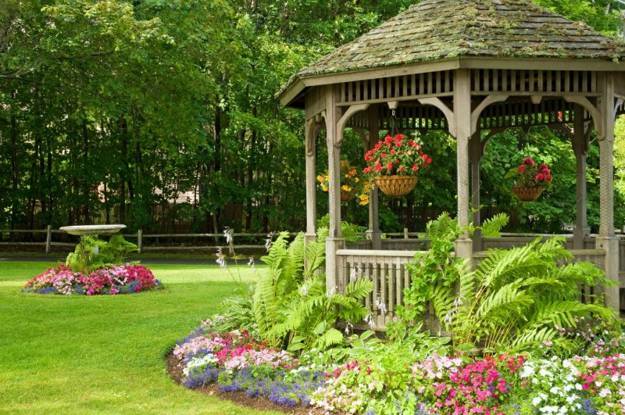 Metal and wooden pergolas and gazebos look harmonious and interesting with water features, lush vegetation and colorful flowers. 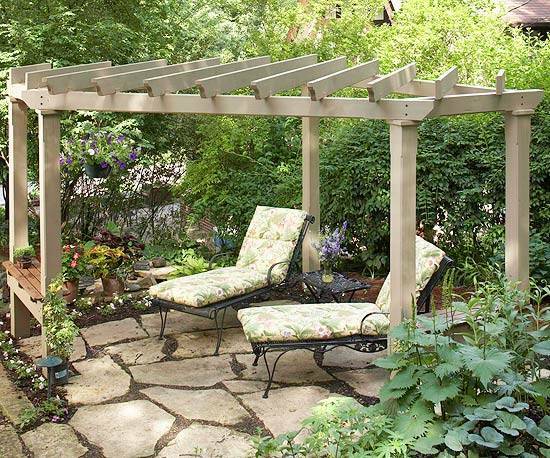 Pergolas and gazebos create small private spaces that improve backyard designs and accentuate yard landscaping. 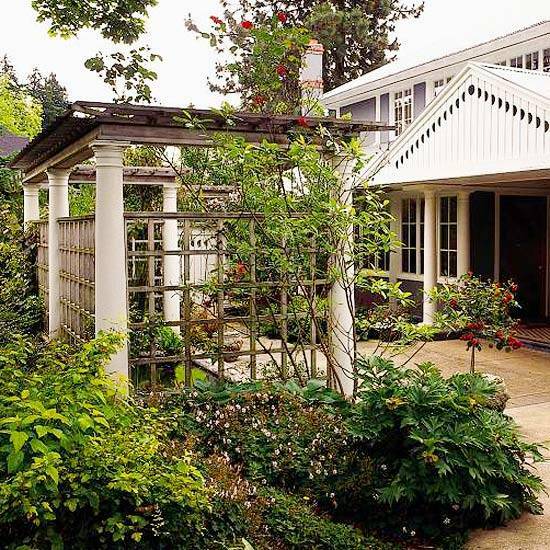 A pergola or gazebo in the garden in the immediate vicinity of the house allows to enjoy outdoor living spaces while connecting home interiors with the nature and increasing the size of the house. 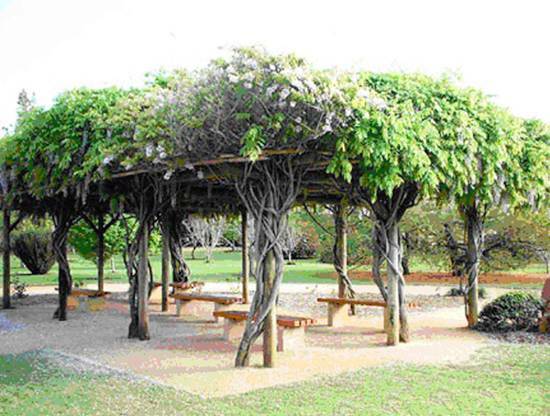 You can decorate your pergola or gazebo with outdoor curtains, shield with awnings, or decorate with climbing flowering plants. 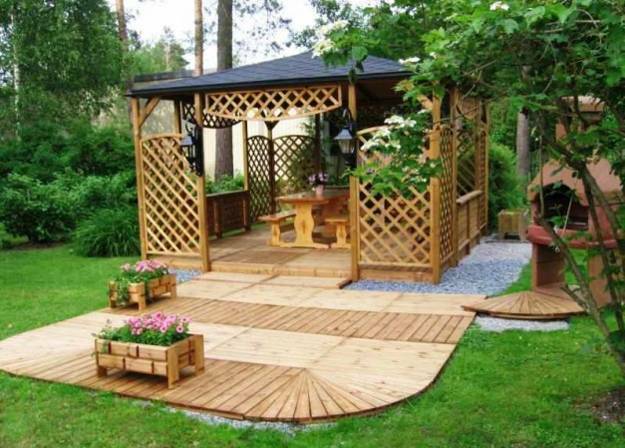 The garden structures made of wood and vines protect your privacy and add spectacular accents to garden design and yard landscaping. 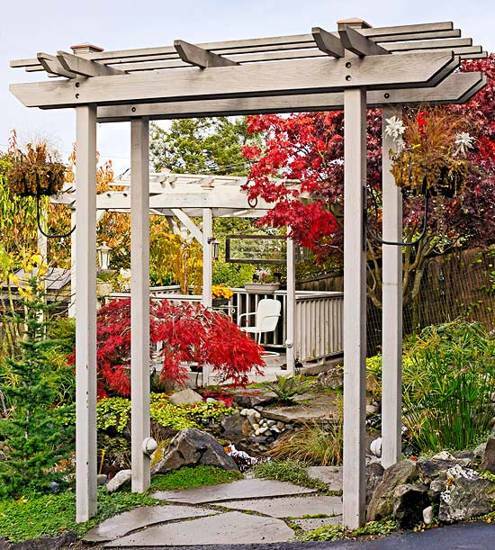 Innovative or traditional pergola or gazebo design ideas create nice contrasts to natural garden design and compliment your house exterior. 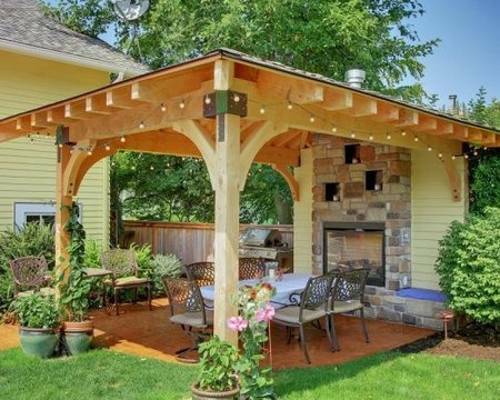 A pergola or gazebo in your garden is a wonderful outdoor home decorating. 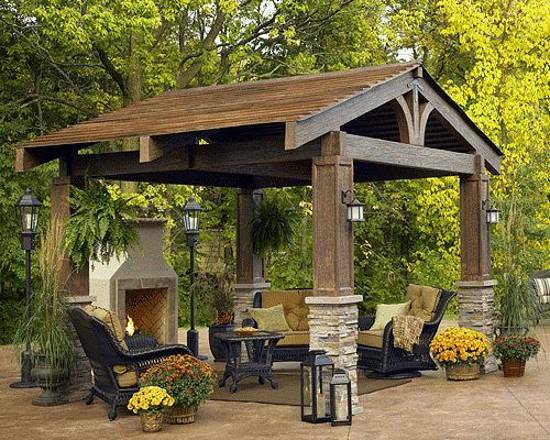 A pergola or gazebo invite to spend more time outdoors and enjoy your family or guests. 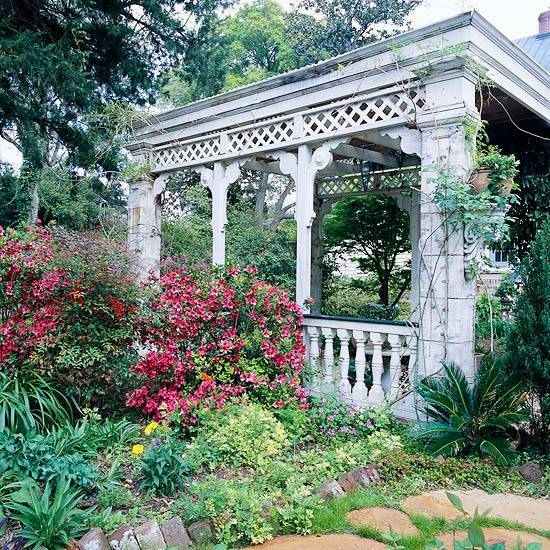 Creative garden design ideas, beautiful curves, arches, flowering plants and evergreens look amazing in gardens. 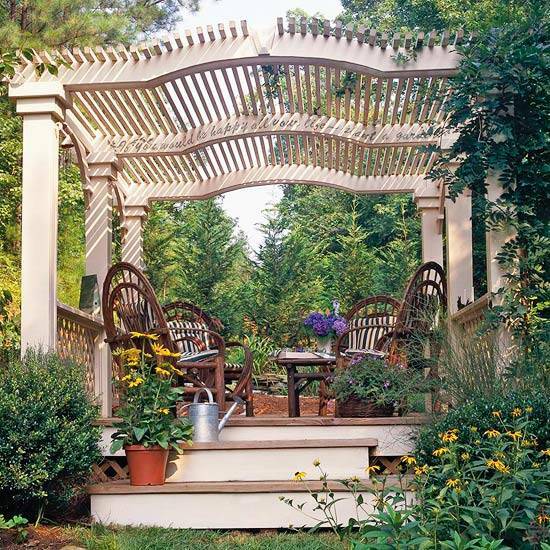 Pergolas and gazebos are great ideas for large garden design and small yard landscaping. 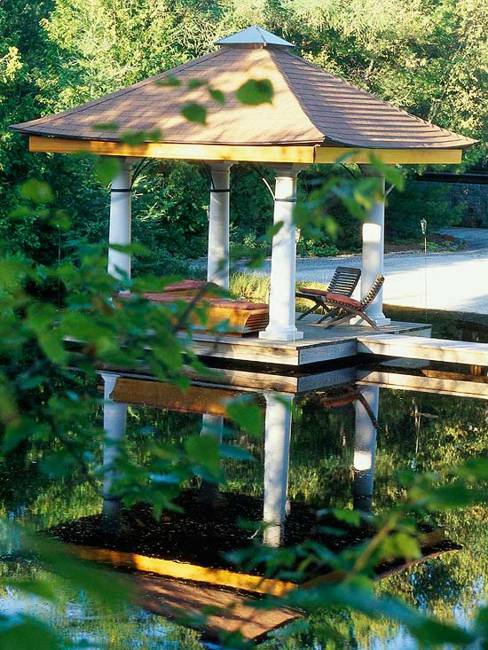 A wide diversity of these structures offer perfect solutions for any backyard designs. 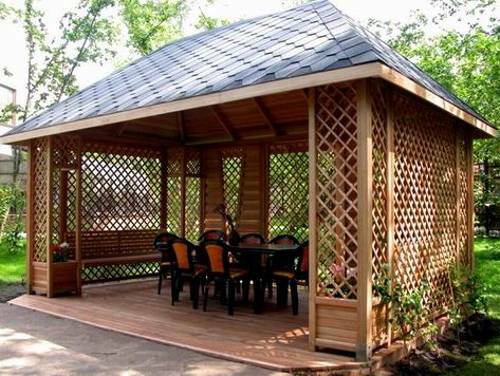 Sun shelters, pergolas, gazebos, awnings, canopies and other light sun shades are very decorative, functional and stylish garden design ideas. 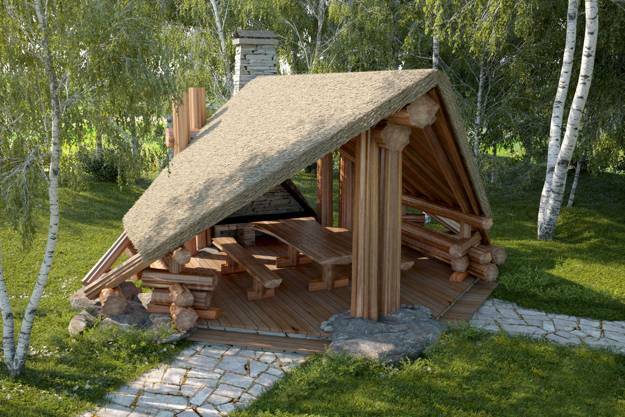 These structures create a visual connection with the environment. 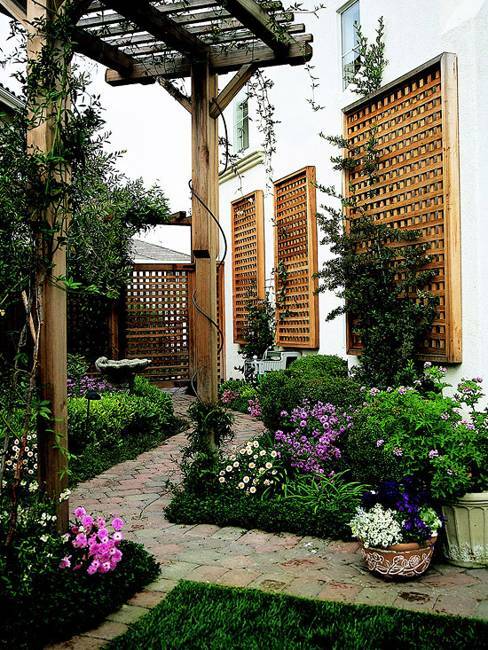 Climbing flowering plants and grape vines create a dramatic effect and help create inviting outdoor seating areas and outdoor dining rooms. 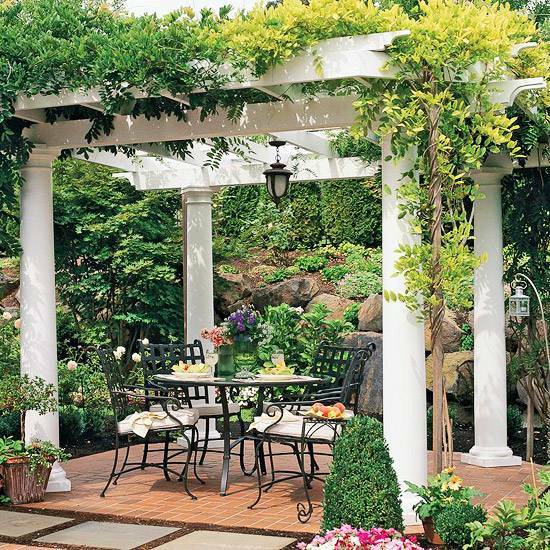 Pergolas and gazebos add Mediterranean and exotic flavors to backyard designs. 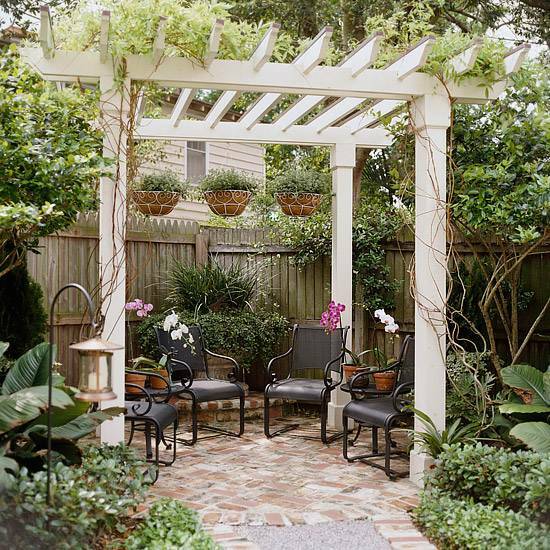 These structures enhance yard landscaping by adding romantic and beautiful outdoor seating areas that have a great appeal.